It’s suddenly got cold across the Korean peninsula! Temeratures have touched as low as freezing point in the capital Seoul and while Busan is, as ever, slightly warmer, it’s still a good 10C colder than last week. So it’s a good thing there’s plenty happening on the track to keep us warm. (Update – Oct 31: Italian jockey Nicola Pinna who has ridden in Japan and Hong Kong as well as his home country, debuts at Seoul this weekend with two rides on Saturday and one on Sunday. Japan’s Makoto Okabe will join Busan next week). Given that this coming weekend’s cards are already out – at least those for Busan – this is rather late but there were a few notable things that happened last weekend. Spring Gnarly suffered his first bleeding attack when sent off as odds-on favourite for Sunday’s feature race at Busan. The US bred five-year-old had won nine of his previous fifteen starts and was 2nd in this summer’s Busan Mayor’s Cup but fell out of contention rounding the home turn and while he actually completed the race at a canter, jockey Kim Yong Geun opted not to push him. 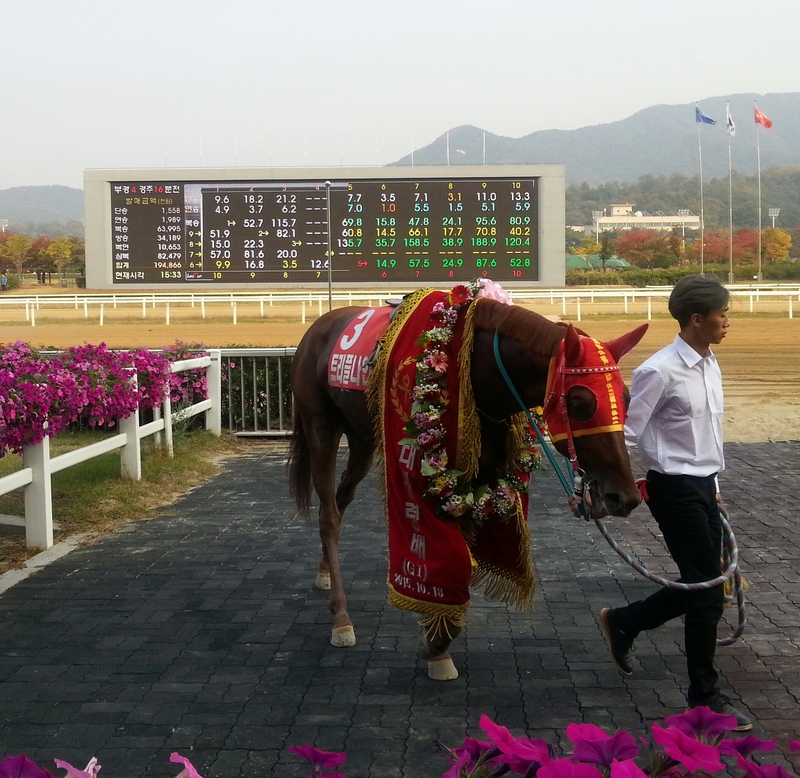 Aussie-bred Cheonji Bulpae won the race, his first win since March 2014. Right now, you’ll not get up on the rail at Busan. For the past few weeks it has been noticeable that winner after winner has been coming home in the centre of the track while those on the rail have ended up going backwards. It’s happened to several well-fancied horses including odds-on favourite My Blade on Sunday afternoon. The reason is that the sand is much deeper on the rail than in the centre at the moment and until that’s sorted – and it needs to be – it looks set to continue. 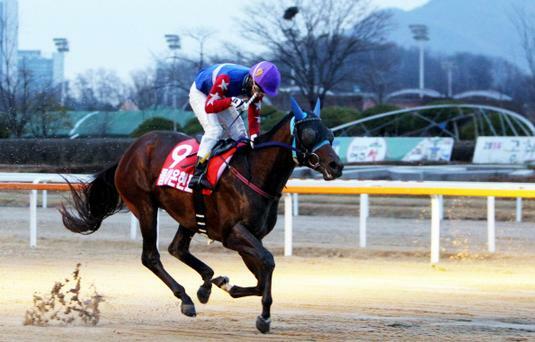 Doraon Hyeonpyo, last year’s Champion Juvenile, couldn’t quite cut it in the Triple Crown races this year but he bounced back to form at Busan last Friday winning a class 2 race over 1900M. Jockey Choi Si Dae made sure to bring him to the middle of the track (of course) as they entered the home straight and the three-year-old cruised away for a 6-length win. Doraon Hyeonpyo will be racing at class 1 next time. Already at class 1 in Seoul is another Korean Derby also-ran, New White Socks. However, the three-year-old, who looks practically unbeatable up to 1700M, yet again was found wanting over 1800M. Sent off as the odds-on favourite for Sunday’s feature race, New White Socks led into the closing stages only to be overhauled close to the line by Nulpurunchongnyong. It was a third consecutive 2nd place for New White Socks at the distance. Riding Nulpurunchongnyong was Yuri Takahashi with the Japanese jockey continuing his excellent recent run of form with a double on Sunday. That took Takahashi’s total number of winners to 15 since joining a couple of months ago. 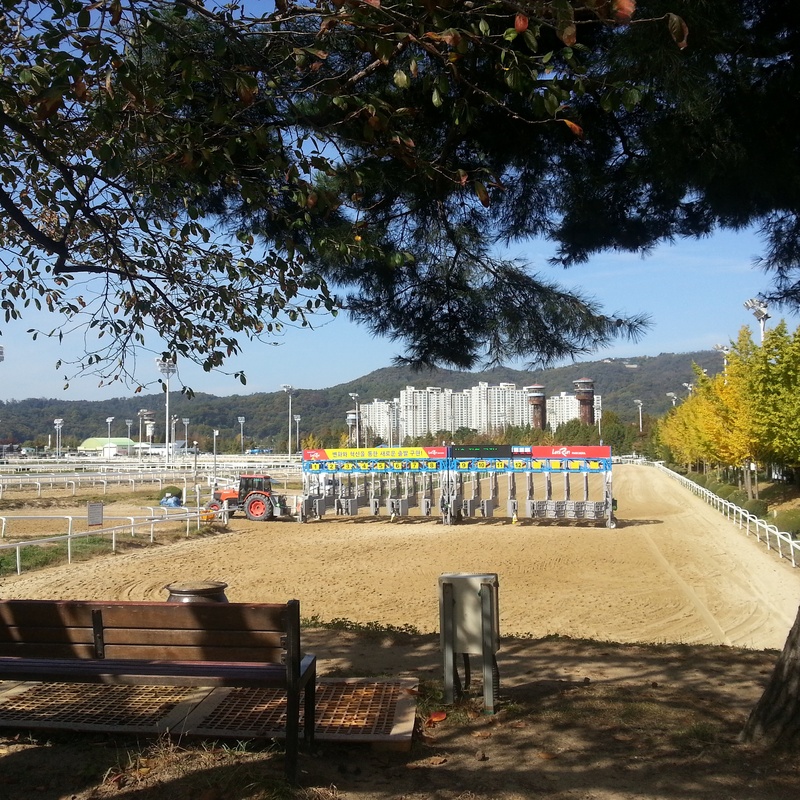 A new Italian jockey is set to join Seoul from November 1. This coming Sunday sees the final leg of the Queens’ Tour, the Gyeongnam Governor’s Cup, take place at Busan. We will have a full preview on Saturday. It promised to be a great occasion and so it proved as in the sunshine of a glorious autumn afternoon at a packed Seoul Racecourse, Triple Nine avenged two big race defeats to stablemate Rock Band to romp away with the President’s Cup. Triple Nine was 2nd in the Korean Derby to Yeongcheon Ace, 2nd in the Minister’s Cup to Rock Band and 2nd in the Owner’s Cup once more to Rock Band. He had picked up a minor Stakes of his own in between and today punters were split between the two three-year-olds. In the end Triple Nine started as favourite by the tiniest possible margin. That faith by punters was to prove well-founded. Rock Band, ridden by Kim Yong Geun, would lead early with Gumpo Sky and High Five for company. Lim Sung Sil meanwhile kept Triple Nine just behind, stalking the leading three. The question as they turned into the home straight was would Rock Band find another gear and go away? He wouldn’t. But he did stay on well. Sotong Sidae briefly got his nose in front at the furlong pole but travelling down the outside by far the best of them was the winner. Triple Nine collared them all and then lengthened away, already in front by three lengths on the line. Rock Band rallied himself for 2nd while Masa Tanaka brought home the fast-finishing Ildeung Hanghaesa to edge Sotong Sidae out of 3rd. Gumpo Sky was 5th with Derby winner Yeongcheon Ace in 6th. Triple Nine and Rock Band meant yet another big race 1-2 for the Kim Young Kwan trainng juggernaut. 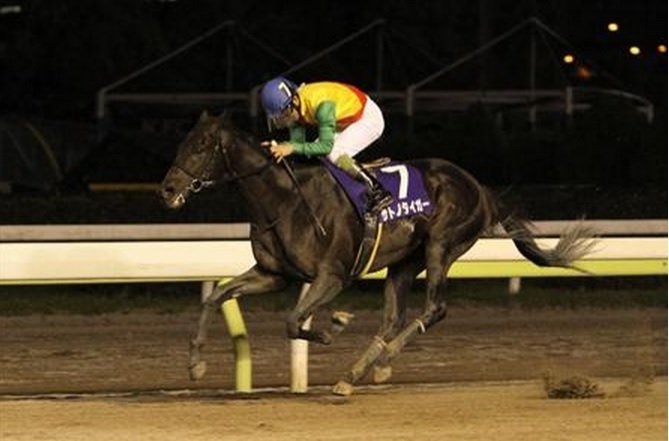 It was a clean sweep too for Ecton Park and for the Isidore Farm on Jeju Island where he stands. Triple Nine is the third product of a mating between his sire Ecton Park and his dam, the wonderfully named A Little Poke (Pleasant Tap). She already has three more full siblings to today’s champion; a filly and two colts, on the ground. Rock Band and Ildeung Hanghaesa are also both Isidore products. 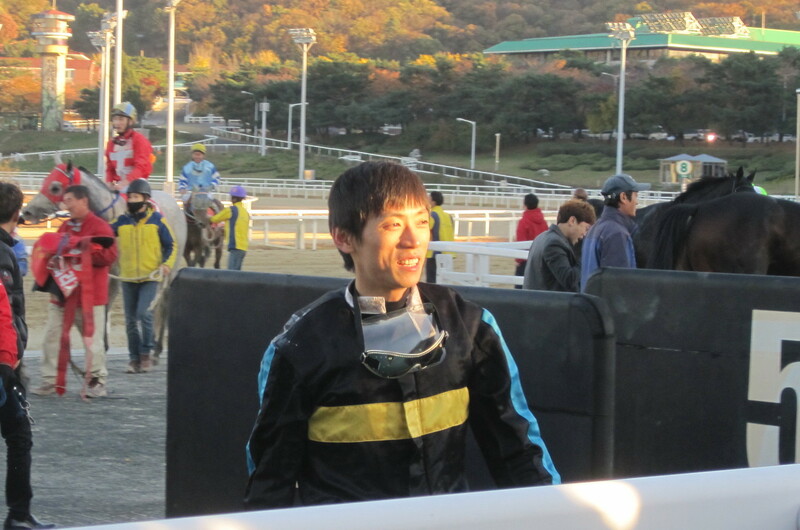 For jockey Lim Sung Sil it was a second President’s Cup win. He rode Indie Band, Rock Band’s elder brother, to victory in 2013. He would go on to win the Grand Prix Stakes on the same horse. Indeed, for the past two years, the winner of the President’s Cup has gone on to win the season-ending Grand Prix Stakes back at Seoul over 2300M in December. Triple Nine, who has now won seven of his eleven starts and has finished 3rd in the other four could well be there and could well make it three in a row. In a sign that he may not be coming to the Grand Prix, Rock Band was this week nominated for the Tokyo Daishoten at Ohi, also in December. 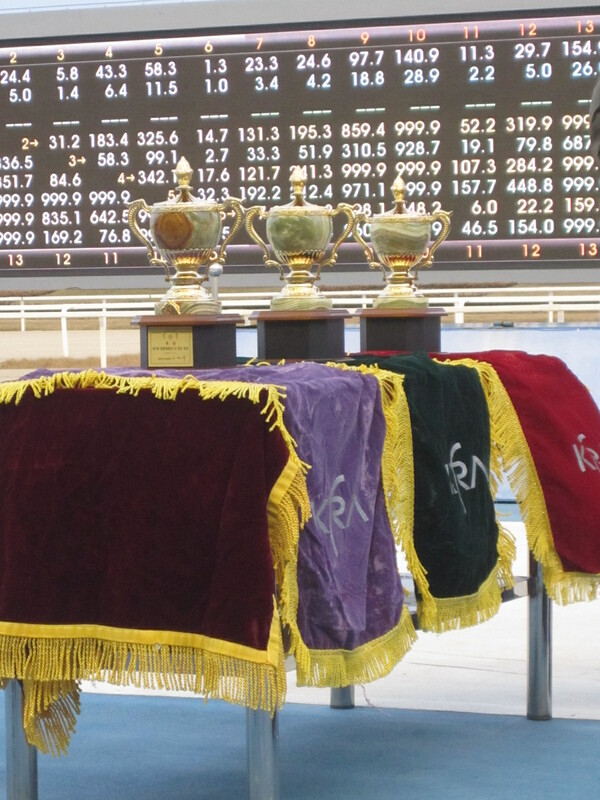 As expected, the race was once again dominated but Busan horses with them occupying five of the top six spots. The exception was the ever-improving Sotong Sidae who stepped up again to finish a very gallant 4th. Busan has been entering horses in this race for six years now and has won on all six occasions. The two tracks face each other again on the south coast next Sunday in the final leg of the Queens’ Tour. It’s hard to see the capital’s trainers starting to make amends there. There isn’t a jockey challenge bet in Korea but if there was, yesterday at Busan it would have been a two-man race with Jo Sung Gon and Ikuyasu Kurakane dominating the Friday afternoon card. Of course, punters had seen this coming. 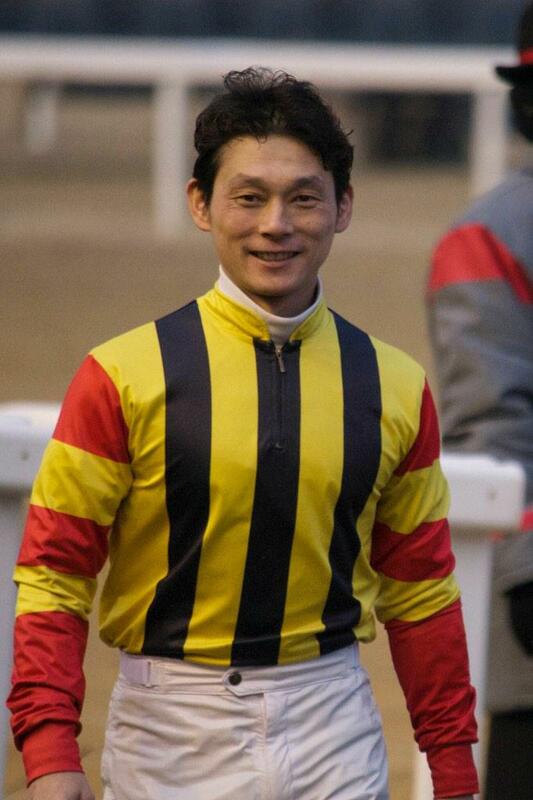 With the likes of Kim Yong Geun, Choi Si Dae and Masa Tanaka among eight Busan riders in Seoul for the President’s Cup on Sunday (Union rules say a jockey who has the temerity to go and ride in a big race at the other track isn’t allowed to ride at his or her home track on the same weekend) and You Hyun Myung on the long-term injured list, Jo and Kurakane were really the only Big Beasts of the weighing room in action. Jo Sung Gon managed to get himself beaten on two favourites but like Kurakane, still emerged with four winners from the eleven-race card. Highlight of Jo’s winners was perhaps a dominant victory for the young US import Doraonpogyeongseon (Kantharos) the third of his four winners which all arrived consecutively in races 5 to 8. Doraonpogyeongseon, named after a Grand Prix winning horse of the 1990’s, was getting his maiden win on his second start. Kurakane’s winners arrived in pairs. He rode two-year-old debut-maker My Alice (Limitless Bid) to an eye-catching, albeit hard to judge how good it really was, eleven-length triumph in race 2 but the highlight was in the final race 11 when he guided two-year-old import Gakbyeolhan (Big Brown) to win by three lengths. The juvenile Gakbyeolhan was beating seven older horses over a mile on what was just his third career start and looks quite a prospect. Had there been a jockey challenge and had it been run under Hong Kong rules, Kurakane would have come out as the winner due to riding three 2nd place finishers as well – two of them behind Jo’s winners. Contrastingly Jo, aside from his winners, only got one other into the top three. While the eight Busan riders in the capital will be riding in the big race on Sunday afternoon, both Jo Sung Gon and Ikuyasu Kurakane have a full book of rides on Busan’s short six-race card on Sunday. It would be very surprising if either failed to add to their weekend total. It’s President’s Cup weekend. Sixteen runners will line up at Seoul Racecourse on Sunday afternoon for one of the richest races of the season. 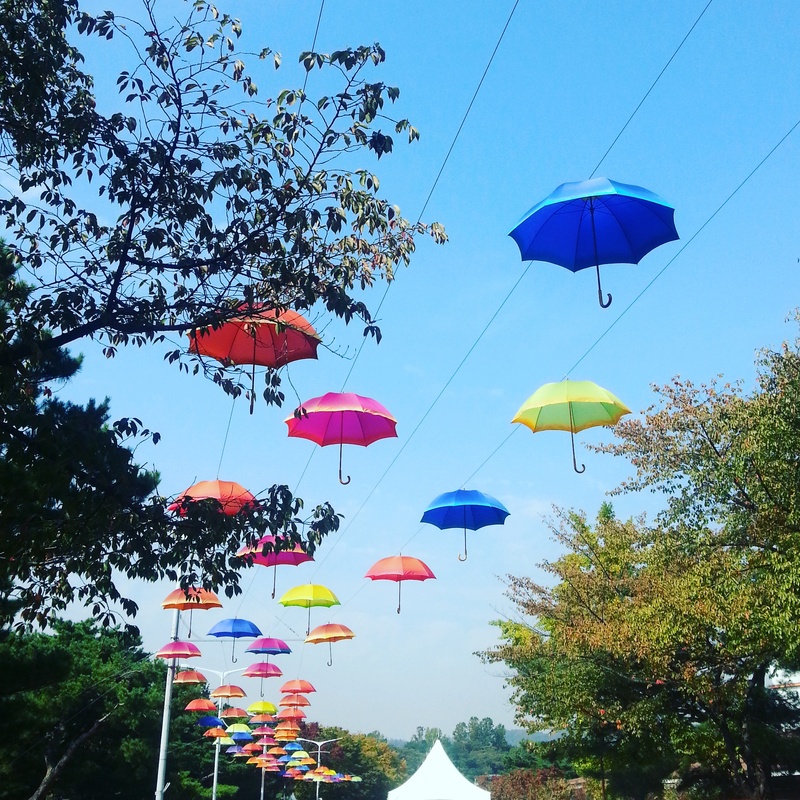 They include the Korean Derby winner Yeongcheon Ace and the Minister’s Cup winner – and currently the hottest property on the peninsula – Rock Band. Urawa-based Satono Tiger was too strong for Cheon Gu and the other Korean raiders as he ensured the honours remained on home soil with a comfortable victory in the Interaction Cup at Ohi last night. As expected it was Cheon Gu (Old Fashioned) who set the early pace but Satono Tiger (King Kamehameha), a 7-year-old horse who had won seven of his forty-one primarily JRA starts and was top sprinter in the NAR last year, took things up inside the final two furlongs and cruised away for a comfortable victory. The fast finishing Major Athlete (Daiwa Major) on the outside and Fire Prince (On Fire) on the rail knocked Cheon Gu out of the places in the closing stages with the Seoul trained three-year-old hanging on for 4th. The other two Korea-trained entrants Cowboy Son and Dynamic Jilju finished in 8th and 10th.